17 Aug 2018 --- Laboratory tests commissioned by US activists Environmental Working Group (EWG), have revealed that glyphosate – the active herbicide in Monsanto’s Roundup weedkiller used in commercialized agriculture all over the world – has been found in a raft of oat-based breakfast cereals and snack bars. According to EWG, glyphosate was found in all but two of 45 samples of products made with conventionally grown oats. Almost three-fourths of those samples had glyphosate levels higher than what EWG scientists consider protective of children’s health with an adequate margin of safety. 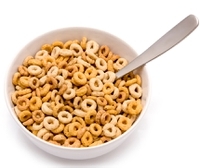 This includes brands such as Nature Valley, Quaker, Cheerios, Lucky Charms and many more. About one-third of 16 samples made with organically grown oats also had glyphosate, all at levels well below EWG’s health benchmark. EWG tested more than a dozen brands of oat-based foods. In response to EWG's report, a Monsanto spokesperson was quick to place the results in context of a normal diet, "Even at the highest level reported by the EWG (1,300 ppb), an adult would have to eat 118 pounds of the food item every day for the rest of their life to reach the EPA’s limit. Of course, nobody eats close to that much food! Using oatmeal as an example, 118 pounds would equal 228 servings or 3,658 percent of the daily recommended intake of fiber. These numbers translate to 9 ½ servings every hour without sleep for a person’s entire life," the statement said. “Any levels of glyphosate that may remain are significantly below any regulatory limits and well within compliance of the safety standards set by the Environmental Protection Agency (EPA) and the European Food Safety Authority (EFSA) as safe for human consumption. Quaker continually evaluates our product portfolio to ensure the highest quality and safety standards for our consumers. While our products comply with all safety and regulatory requirements, we are happy to be part of the discussion and are interested in collaborating with industry peers, regulators and other interested parties on glyphosate,” the statement adds. The study results closely follow a case in California last week that attracted headlines around the world, where a terminally ill retired school groundskeeper was awarded more than US$289 million in damages from Monsanto after claiming that repeated exposure to large quantities of Roundup gave him cancer. This was the first lawsuit to go to trial alleging a glyphosate link to cancer and could open the floodgates to thousands of similar cases. The landmark case made international headlines as the San Francisco court found in favor of Dewayne Johnson, aged 46, saying that Monsanto was liable for damages. Monsanto says it intends to appeal. Roundup was produced for decades by Monsanto, which earlier this year merged with the German pharmaceutical company Bayer AG. The Monsanto name has now been dropped after the US$63 billion deal. EWG says that Roundup is sprayed just before harvest on wheat, barley, oats and beans that are not genetically engineered. Glyphosate kills the crop, drying it out so that it can be harvested sooner than if the plant were allowed to die naturally. Is the writing on the wall for glyphosate? The classification by International Agency for Research on Cancer (IARC) of the herbicide glyphosate as a probable human carcinogen has generated considerable discussion. While manufacturers insist that it is safe, there is a growing belief globally that it will eventually be classified as a banned substance. And there is also a growing movement against the industrial-scale monoculture form of agriculture with which glyphosate is associated, not just among environmental groups, but consumers who are much more aware of these types of issues and concerned about exactly what their food contains. The EU came close to a ban that was backed by a petition signed by more than 1.3 million citizens calling for it to be weeded out from Europe’s food and farming sectors. However, the EU voted to renew the license of glyphosate for another five years. This is against the wishes of France and followed months of indecisive votes among member states. Eighteen countries had backed its proposal to renew the chemical’s license while nine countries were against and one abstained, giving a “positive opinion” by the narrowest possible margin under rules requiring more than a simple majority. But France maintains that it will ban the substance within three years while Italy has banned its use as a pre-harvest treatment. The herbicide is registered in 130 countries and approved for use on more than 100 crops. FoodIngredientsFirst has requested comment from some of the manufacturers mentioned in the report.